Software to create guitar tablature should be present on every music enthusiast’s computer. Such tools usually come with the ability to create guitar music sheets and the most commonly used symbols in tablature. There are lots of programs that allow you to create guitar tabs and we gathered five of the best ones in order to make your choice easier. Check them all out and make an informed decision. Power Tab Editor is a tablature authoring program for any system running Windows. 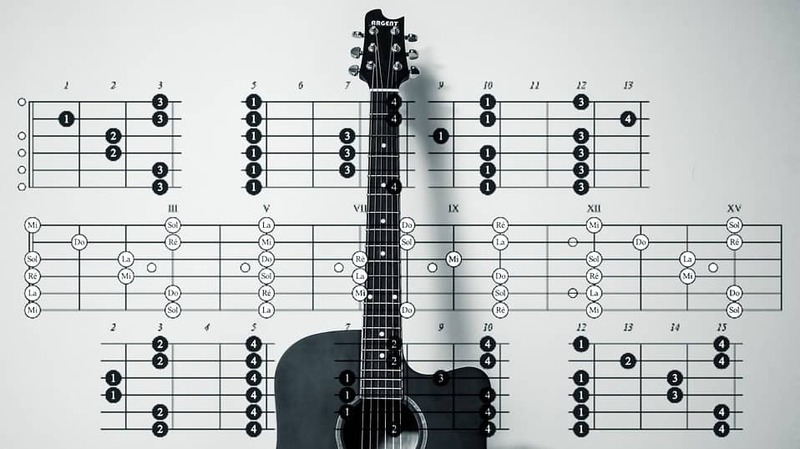 Using it, you will be able to create guitar sheet music aka guitar tablature or bass tablature. The software provides chord names, chord diagrams, bends, rhythm slashes, harmonics and more. This is a useful tool for beginners and musicians who want to learn how to play guitar. This tool can be used with both electric and acoustic guitar players. 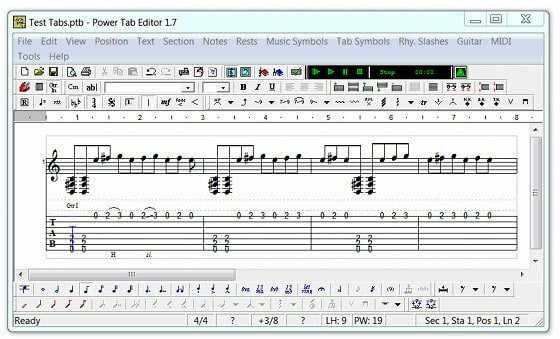 The Power Tab Editor creates, reads and plays guitar and bass tablature in the .ptb format. This tool is excellent for beginners and more experienced guitarist who want to transcribe their own music and guitar lessons as well. Head to this tool’s official website and download Power Tab Editor to see how it works. 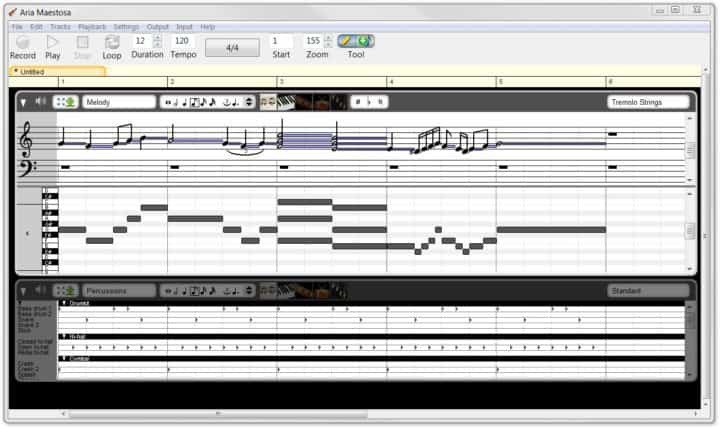 LilyPond is another useful software that provides music notation for everyone. 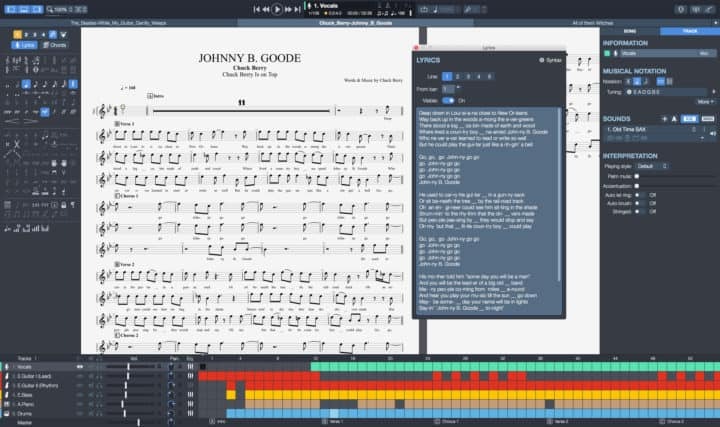 This music engraving tool is devoted to creating the highest-quality sheet music. This program brings the aesthetics of traditionally engraved music to computer printouts. LilyPond is perfect for users who want to learn how to play the guitar and more. This is a free software that is a part of the GNU Project. This flexible tool is potent, and it allows engraving tasks of all kind such as classical music, modern music, complex notation, vocal music, lead sheets, orchestral projects, educational materials and customized outputs. Head to the official website of LilyPond and download this useful software. TablEdit is a tool for creating, editing, printing, and listening to tablature and sheet music for guitar and other stringent, fretted instruments. TablEdit is designed by guitarists for guitarists and more. This tool supports both tablature and standard notation, and it features instant conversion from one to another. The multi-document interface allows the opening of multiple TablEdit files at the very same time. The software supports English, German, French, Japanese and Spanish as built-in languages. This tool provides virtually unlimited language support, and 17 language patches are available. TablEdit offers multitrack entering editing and fully configurable printing. The software can save an image of the printed output in a variety of graphics formats. There are more features included in this software such as various effects, alternate tunings, complete control over note duration, editing and construction of custom chord diagrams, lyrics management, and more. TablEdit is distinguished by its minimal sized and optimized code for loading and running. You can download a free demo from the software’s official website. Guitar Pro 7 allows you to edit your music scores and tablature for bass, guitar, and ukulele as well. You can also create backing tracks for drums and piano with this tool. This is a thorough and user0friendly tool for musicians who want to get better, compose or just play along. This new version of the program is the result of a few years of more development. The software focuses on the specific needs of musicians. Guitar Pro 7 comes with a redesigned interface and a better rendering of your scores, new tools, and audio improvements. Discover the extended set of features and download the free trial of Guitar Pro 7 and start editing new music. You can compose, edit and play midi files with just a few clicks. The user interface is really effortless to use even for users who are not very experienced with this kind of tools. The UI comes with score, guitar, keyboard, controller, and drum views. 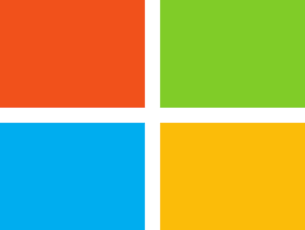 Aria Maestosa runs on Windows, and fortunately, the software is translated into more languages including Spanish, French, Japanese, Chinese, and Russian. You can download the latest version of Aria Maestosa from the official website. Here’s where our list of the best five tools for creating guitar tablature comes to an end. Make sure to check out all these tools’ functionalities and features before you make your final pick. Have fun!